The heart pumps blood through a vast network of arteries and veins. Blood is a living fluid. It transports oxygen and other essential substances throughout the body, fights sickness, and performs other vital functions. Below are 8 important facts about blood. 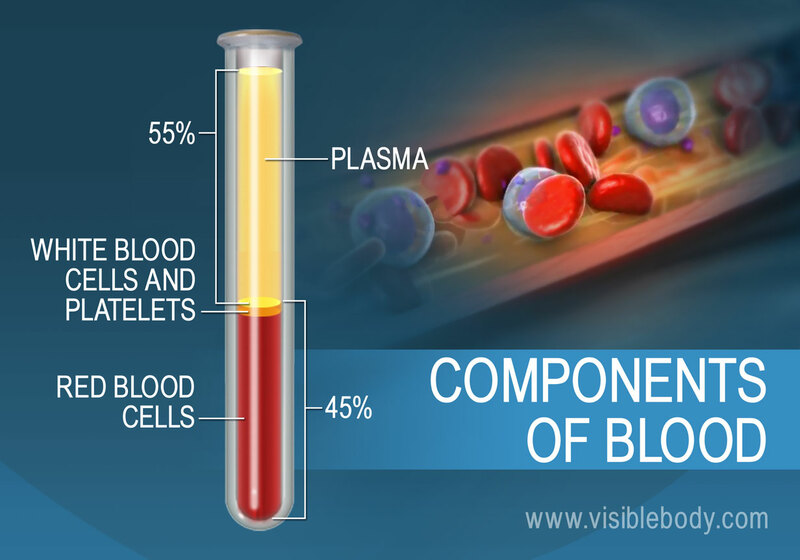 Blood is composed of 55% plasma and 45% “formed elements,” including red blood cells, white blood cells, and platelets. 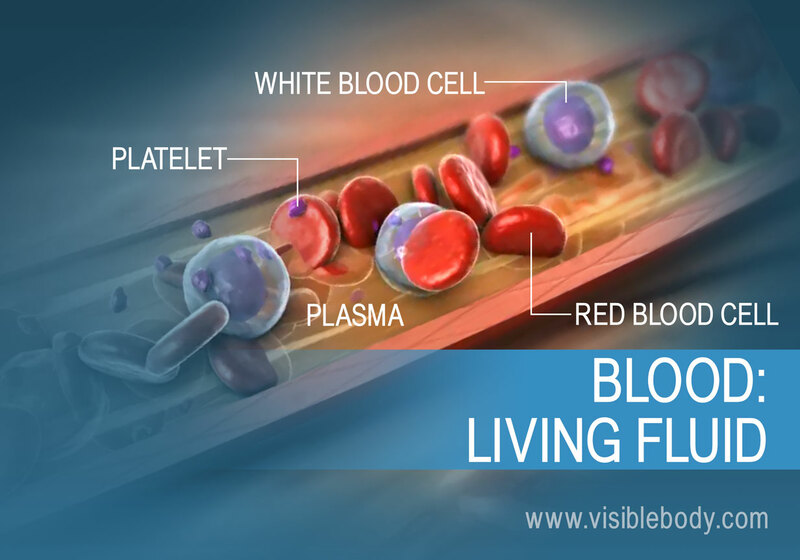 Because of these living cells suspended in the plasma, blood is considered a fluid connective tissue (not a fluid). It is the only fluid tissue in the body. Blood absorbs oxygen from air in the lungs. It transports the oxygen to cells throughout the body, and it removes waste carbon dioxide from the cells. In the lungs, the carbon dioxide moves from the blood to the air and is exhaled. Blood plays a large role in digestion and endocrine system functions. 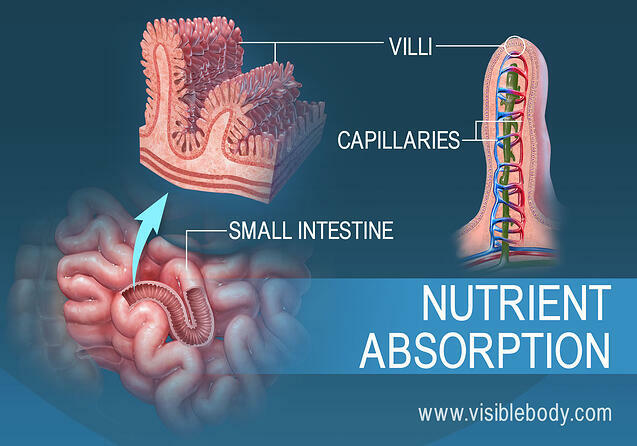 Digested nutrients are absorbed into the bloodstream through capillaries in the villi that line the small intestine. These nutrients include glucose, amino acids, vitamins, minerals, and fatty acids. Blood also transports some hormones secreted by endocrine system glands to target organs and tissues. 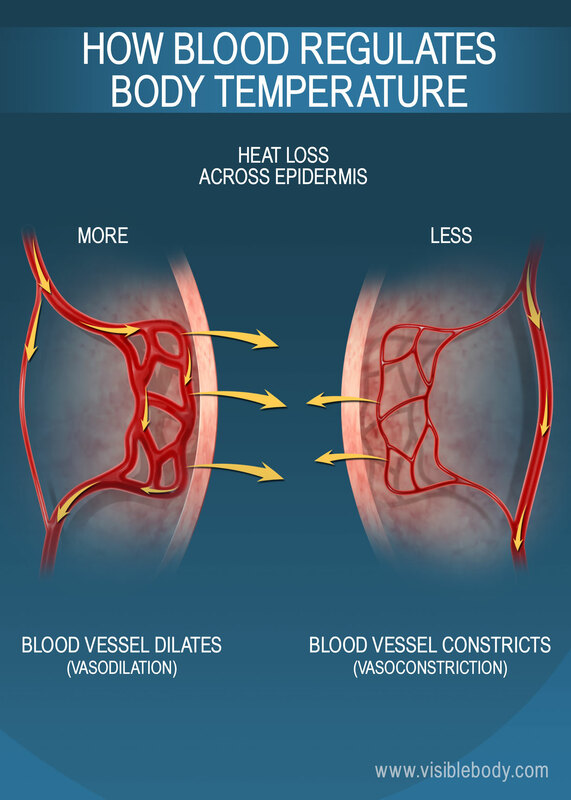 Blood absorbs and distributes heat throughout the body. It helps to maintain homeostasis through the release or conservation of warmth. 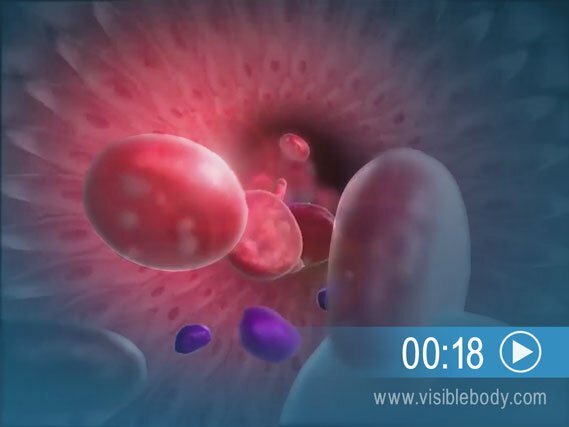 Blood vessels expand and contract when they react to outside organisms, such as bacteria, and to internal hormone and chemical changes. These actions move blood and heat closer to or farther from the skin surface, where heat is lost. When a blood vessel tears, platelets and plasma proteins work together to stop blood loss. Platelets, also called thrombocytes, clump and form a plug in the damaged area. The proteins form threads called fibrins to complete the platelet plug, or clot. Blood transports waste substances to the organs that remove and process them for elimination. Blood flows into the kidneys through the renal arteries and out through the renal veins. 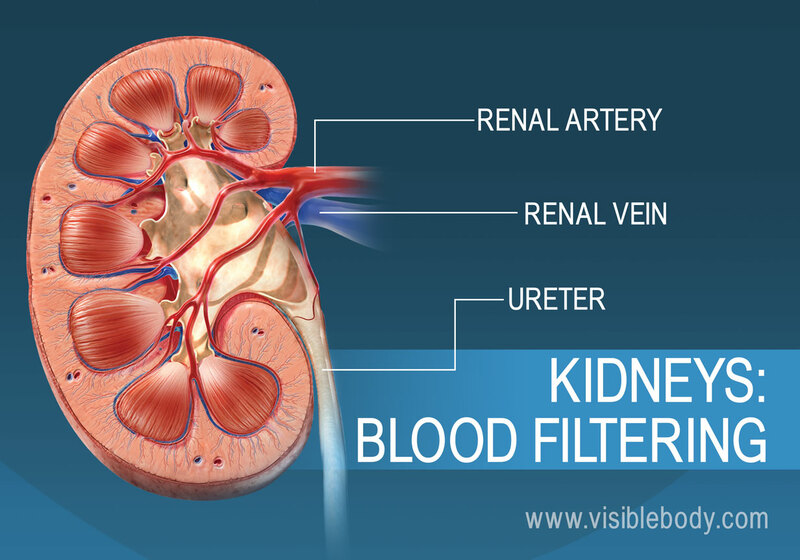 The kidneys filter substances such as urea, uric acid, and creatinine out of the blood plasma and into the ureters. The liver also removes toxins from blood. During digestion, it cleans blood that has been enriched with vitamins before sending it back out to the rest of the body. Blood is 55% plasma and 45% formed elements. Red blood cells, also called erythrocytes, make up most of that 45%. Their primary function is to transport oxygen from the lungs to the cells of the body. 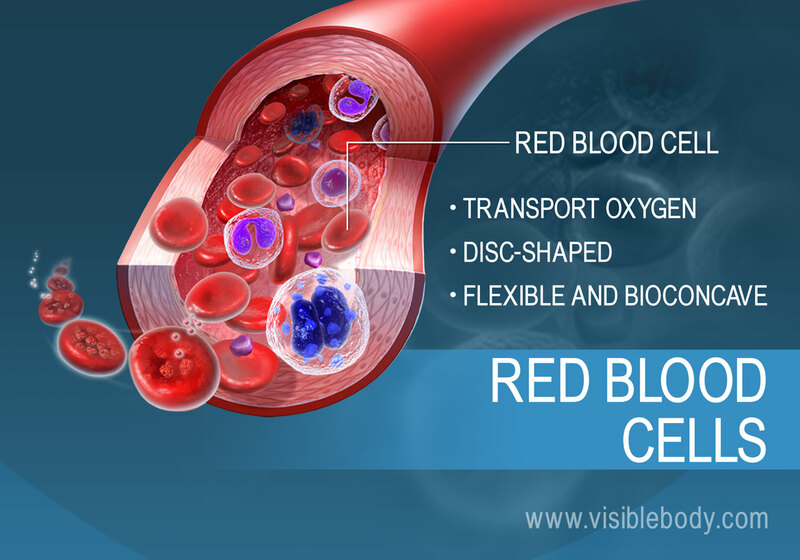 Red blood cells are disc-shaped. They are flexible and bioconcave—flat and round with depressed centers. White blood cells, also called leukocytes, are the disease-fighting components of blood. 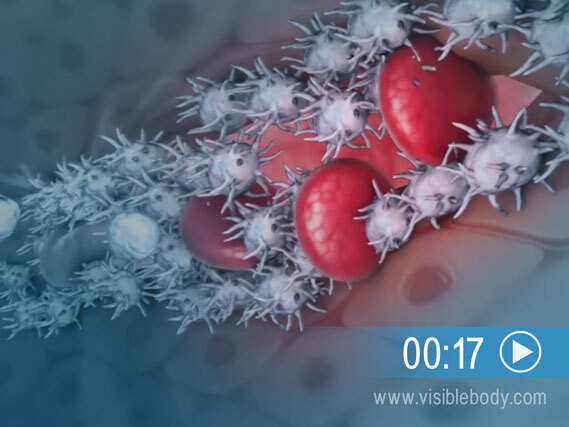 They account for just 1% of circulating blood but multiply during infection or inflammation. 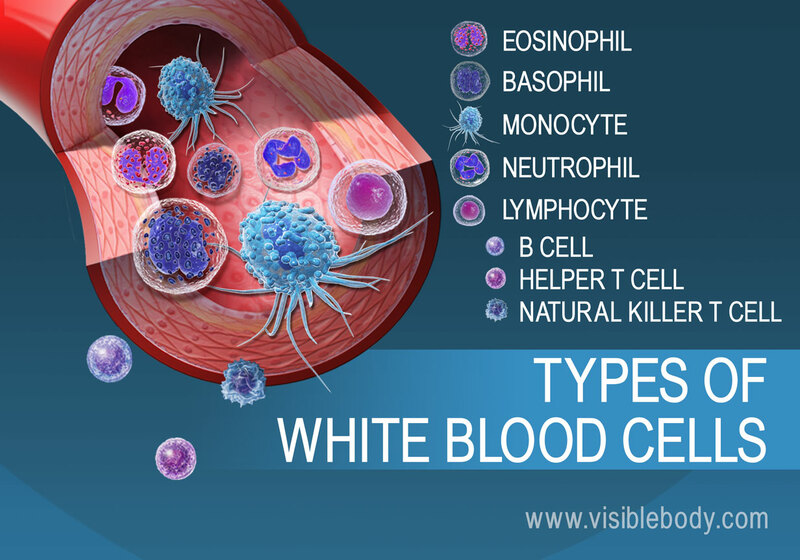 There are five types of white blood cells: neutrophils, eosinophils, basophils, lymphocytes, and monocytes. Neutrophils are the most abundant, comprising 60% to 70% of all white blood cells. Blood facts and statistics from the American Red Cross.